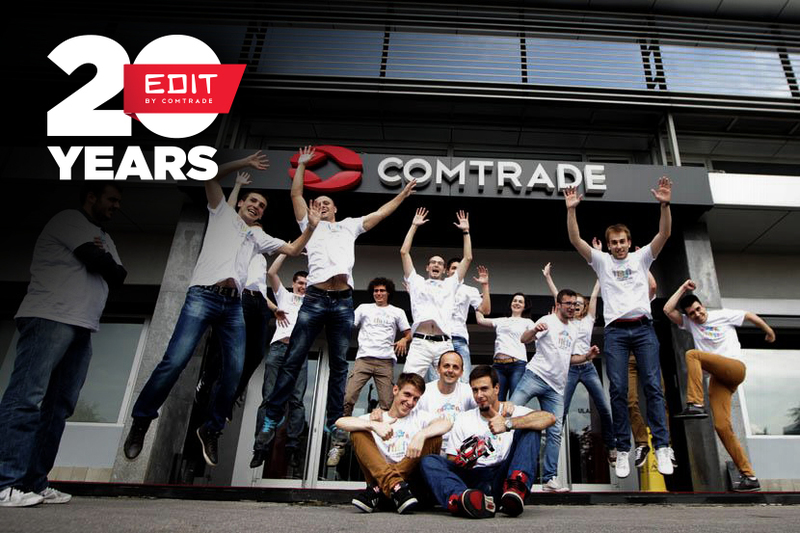 EDIT (Education for Innovative Thinkers), Comtrade’s IT summer school, is excited to celebrate a special milestone – 20 years of providing free IT education to students and aspiring young IT professionals across the region. What started out as a small project that gathered 10 students at Comtrade in Ljubljana grew into a regionally recognized and highly anticipated two-week IT summer program that takes place every July in seven cities across Slovenia, Serbia and Bosnia and Herzegovina, including Ireland. In recent years, EDIT expanded its reach by inviting students from the EU to apply for the program and experience learning and networking with their peers in a new cultural setting. Since EDIT was first organized, more than 1,000 IT high school and college students have successfully completed the program and experienced what it’s like to work on real-world projects in a large, international IT company. During the two-week program, participants work in small groups to deliver solutions using a variety of technologies and software development methodologies, gaining meaningful and practical work experience. Over the years, the projects presented at EDIT have evolved to keep current with the changing trends in the IT industry. Now, in addition to programing, students also learn about mobility solutions, cloud technologies, robotics, data analytics and other IT topics that are relevant today. As a leading technology company in the region, Comtrade is dedicated to continuing to provide access to quality IT education. As we celebrate the 20th anniversary of EDIT, we look forward to sharing our knowledge and experience with more bright, young students who want to advance their careers in IT.